Be the first to hear about their new releases and deals. Download the Booksprout app and search for Jolie Mason today! 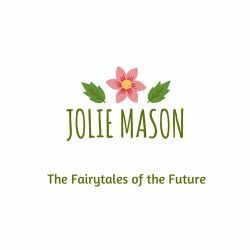 Jolie Mason writes scifi, fantasy and romance in one big tangle. You can find a little of everything in there, and the kitchen sink. You can find her at www.future-fairytales.com where she sometimes hangs with her imaginary friends. She likes long walks, love stories and splosions, though not necessarily in that order.